Home / Travel / Why is winter season the best time to visit Ooty? Are you planning to tour India this time? You can’t miss out Ooty, the lovely hill station symbolizing eternal beauty. 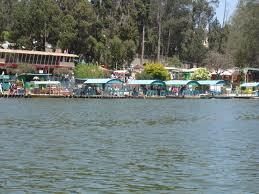 Ooty is a pleasant and magnificent travel destination for people of all ages. 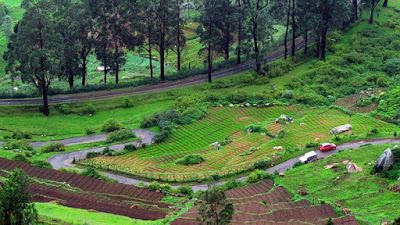 If you are a honeymooner, do visit Ooty during the winters, and you will love it. India is favorite travel destination for people all across the globe owing to its tropical climate. Winters in Ooty begin from October, and it is regarded as the best time to visit this lovely hill station. Winter season is perfect time to enjoy sightseeing activities, adventurous activities here in Ooty. The salubrious climate of Ooty is its main charm. So, it is already winters and you are looking to travel India. Don’t forget to include Ooty in your travel package. The enchanting hill station is best meant for adventurous travelers. Both summers and winters are perfect time for hiking and trekking. For those looking to enjoy the cooler months, for them Ooty is a blessing. The average temperature between October and February in Ooty is 15 to 5 degrees Celsius. Winter in Ooty is dry and cold, and so you must carry woolen garments to stay warm. This is mainly for those who want to move out during the night. Why visit Ooty in winters? Ooty in winters is very romantic and is best for honeymooners. During this period of time, you may enjoy dewy mountains, misty, foggy hills and green beautiful landscape like kerala. Indeed, you have general feeling of wellness during winters here. The natural exuberance of Ooty will delight you and relax you to the fullest. It has the cleanest of airs to refresh your senses. The reasons you should know why Ooty is must visit during winters? • In the month of February the Annual Festival takes place in Ooty. • Saraswati Puja augments the start of Spring season and is celebrated with great pomp and show in Ooty. • St. Stephen Church is an old church where its stained glass windows provide visual delight. It is 120kms away from Tipu Sultan’s palace and is must visit during the winters. • Experience the joy of traveling in the Toy Train in Nilgiri Mountain Railway, Ooty, which covers the distance of 46 kms in 5 hours. Are you looking for some thrill and adventure? Why not go trekking to Mukurthi and Doddabetta. Placed at the altitude of 2600 meters, hikers are drawn from all across the globe here. If you want 360 degree view of Nilgiris District, hike to Telescope House. Mukurthi Peak offers a lot of hiking opportunity. At Mukurthi National Park, you will also come face-to-face with rarest of flora and fauna. There are so many things to do in Ooty that you will be spoilt for choices. You can go for hiking, skiing, horse riding, Toy Train riding, sightseeing in Ooty, take part in winter festivals and the list goes on and on. Book your travel package in advance to avoid the last minute rush.